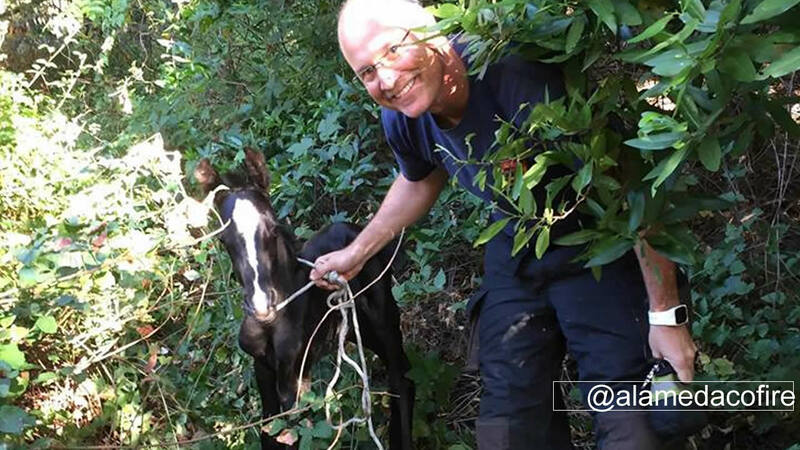 CASTRO VALLEY, Calif. (KGO) -- Alameda County Firefighters helped rescue a pony. They posted these pictures on their Facebook page. The male foal looked scared, dehydrated and lost when they found it by Crow Creek Road on Wednesday evening in Castro Valley. A local horse rescue agency helped firefighters safely rescue the horse and transport it to a ranch in Hayward.